If your house is anything like mine, it is likely full of some pretty tech-savvy kids. My kids are constantly thieving my ipad. While I’m okay with them playing games, I LOVE being able to provide them with as many opportunities for reading as possible! Scholastic (quite possibly one of my favorite companies of all-time) has developed an INCREDIBLE eReading app that is parent, kid, and teacher approved! 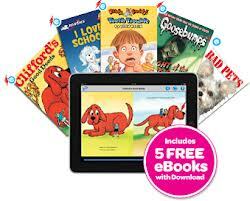 Plus, when you download Storia, you get 5 FREE ebooks to get you started! There’s no risk! 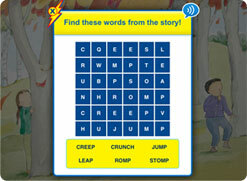 Download the app, see if you like it (you will), and let your children start experiencing ereading! If you’re new to eReading, and want to find out more about how to set up Storia, check out these great video tutorials! Storia eBooks are identical to their printed versions in every way, from typesetting to illustration. However, in addition to the built-in features of reading with Storia, such as an age-appropriate dictionary, many Storia eBooks offer highlighter and note-taking functions as well as engaging optional read-alouds. 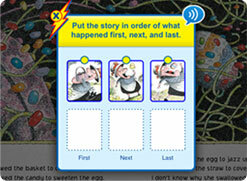 Enriched Storia eBooks additionally feature fun, age-appropriate learning activities and content such as language games, from word searches to word scrambles, memory and sequencing challenges, full color video and graphics, and illustrative puzzles. You can purchase and read an Enriched Storia eBook the same way you would buy a regular Storia eBook. Just look for the lightning bolt icon when shopping online to find an Enriched Storia eBook. Now through December 31st, for every Storia ebook you purchase, Scholastic will donate a book to a child in need, especially kids who lost their home libraries in Hurricane Sandy. What a fabulous way to not only provide your child with books, but to get books into the hands of kids who need them! 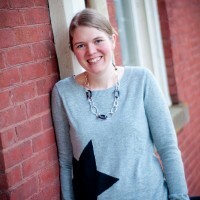 One lucky Chasing Supermom reader will win a $25 gift card to spend at Storia. 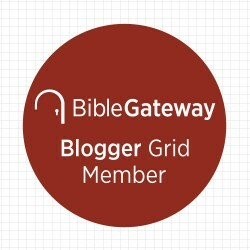 The easy part is winning the gift card, the hard part will choosing what ebooks to buy! 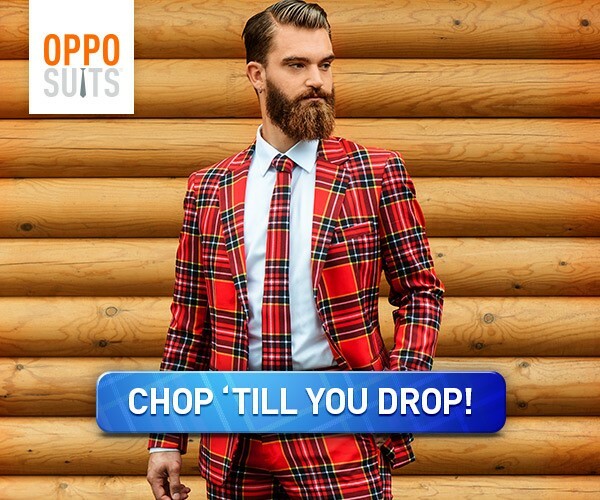 *I received free product in exchange for this post. Some content provided by Scholastic. All opinions expressed are my own. Good luck, and make sure to check out Storia from Scholastic! 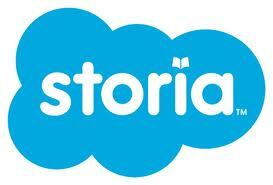 I love storia! just started using it last week. What I like best is each child can have their own bookshelf. And how it helps would with the dictionary for harder words for the kids. Great app! My favorite Christmas album is “When My Heart Finds Christmas” by Harry Connick, Jr. I love a mix cd of Christmas songs collected over time. Wow lots of great ebooks. I think I would download the Biggest Christmas tree Ever since my son will be getting a Nabi Tablet for Christmas. my oldest is really into the 39 clues books. one of those would be my choice! My kids have been dying to read Diary of a wimpy kid. I would love to download Magic Schoolbus: In the Rainforest. My children love the Magic Schoolbus series and this is one that we haven’t read yet.